Today: Give the king of the fall a makeover with a lighter pumpkin cake (that just happens to be gluten-free), thanks to Alice Medrich. Pumpkin normally appears in rich pies or hearty cakes. 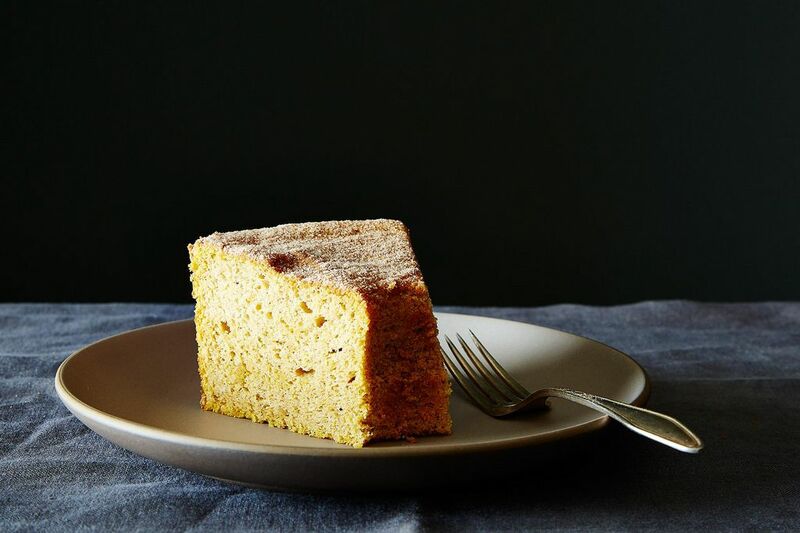 But here, with rice flour and a hint of spice, it produces a moist, fluffy cake with subtle flavors. I’ve tasted it with every imaginable topping from frosting to whipped cream and candied nuts, only to find that a sprinkling of spiced sugar is the best topping of all: Everything else overwhelms the delicate flavor of the cake. This recipe was inspired by, but does not appear in, my new book Flavor Flours (Artisan, 2014). Is confectioner's sugar or granulated sugar required for the spiced sugar topping? Is the pumpkin puree required the unsweetened canned/frozen puree variety? (We don't eat a lot of pumpkin where I'm from). Granulated sugar for the topping! (The recipe would otherwise specify confectioners sugar). In the US plain canned pumpkin (not the kind that is already spiced for pumpkin pie) is pumpkin puree. You could cook a fresh pumpkin and puree it, but we rarely go to the trouble. Thanks for asking. Thank you for your kind response and generosity with your recipes, Alice. I can't wait to try this. I've baked your double chocolate chiffon cake a few times now and it's absolutely divine. Even though I did use Dutch cocoa as the only natural cocoa powder we have from this parts is Hershey's or at best, Ghirardelli. It still turned out delicious. I just made this cake. I'd like to point out that in the ingredients list, it says 1/4 tsp ground cloves on the landing page of the recipe - but when you're prompted to click on the full recipe with the method, the measurement switches to 1/2 tsp ground cloves. Unfortunately, I used 1/2 tsp before realising this discrepancy. I assume 1/4 tsp cloves is correct? (I have only tried the crumbs of the cake while unmolding it, it's tasty thus far but very clove-heavy). 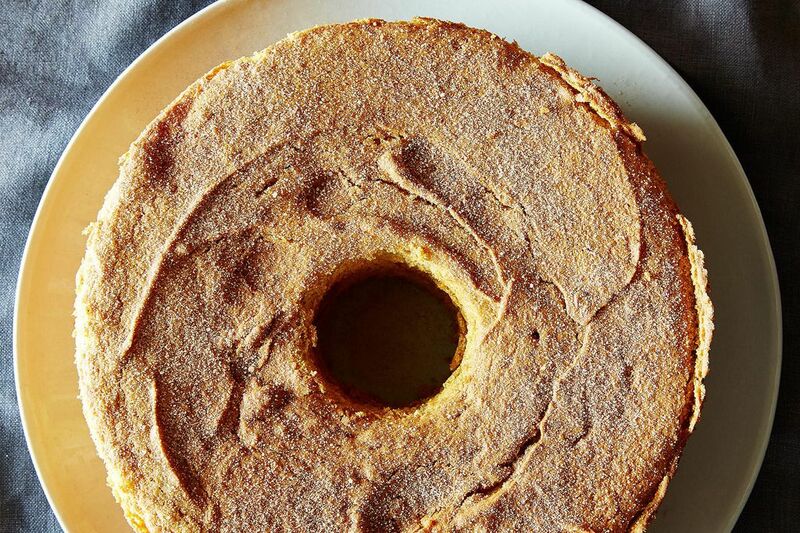 Also, I'm guessing you didn't invert the tin to cool this particular chiffon cake? Because I automatically did so before realising you didn't actually say to do so here and my cake fell out, ha ha! I made this with a sweet potato puree I had, leaving out half the salt in the cake because it was a well salted savory puree, and cutting out 50 grams of sugar because it had about that much maple syrup. I left the cloves out because I prefer a lighter touch with sweet potatoes. It was wonderful! Moist, light, just right level of sweetness, and great with the spiced sugar! What is pumpkin puree? Do I just puree canned pumpkin? Thanks! It would be really nice if someone would answer all these questions. Thanks. Can i use regular flour instead of rice flour? Can I use coconut oil instead of the oils mentioned? Would substituting brown rice flour for the white rice flour have any affect on the recipe? Would love to try this. I have Mochiko glutinous rice flour. Anyone know if I should use the measurement for standard rice flour, or thai? THIS SOUNDS DIVINE. I HAD TO TYPE IT IN ALL CAPS TO MAKE THAT POINT. Could this be made with AP flour? I don't have rice flour. Would that change the measurements?